This recipe is straight from my mother who has perfected this recipe over the years. Ande ka naan (bread dipped in egg mixture and deep fried in oil) is one of her most sought after sweet delicacies. This is very easy to make, does not consume much time and requires very few ingredients. For people with a sweet tooth this is a perfect snack which can be had any time and on the go. Even people who do not like bread simply relish this sweet. This recipe makes about 28 naans. Take the bread slices and remove the brown edges. Cut each slice into 2 and set aside. Then pour the eggs in a bowl and add sugar. 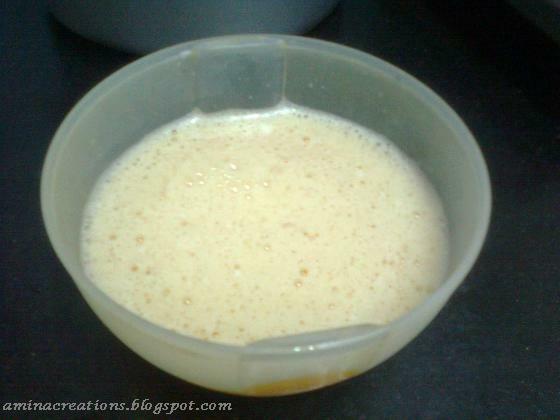 Beat using a fork or egg beater till the sugar dissolves and bubbles are seen. You can also use a whisk. Then add milk and continue beating till all the ingredients are mixed well. 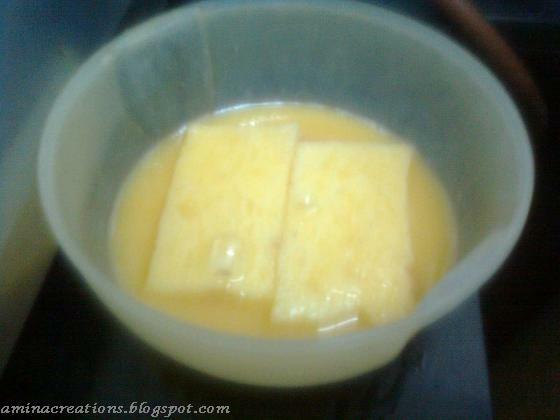 Now heat oil in a frying pan, dip the bread slices in the mixture one by one and deep fry 2 at a time till golden brown. Remove on a tissue paper to absorb excess oil.You can either have it hot or allow it to cool down completely and transfer the naans to an air tight container. Delicious Ande ka naan are ready to be served.